Can't find the right gift? Gift Cards are great for any occasion. At this time, our e-commerce platform does not allow us to process Gift Card payments for online sales. 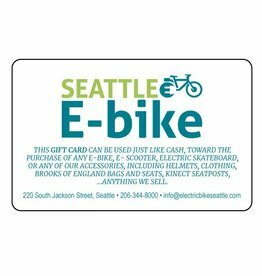 Gift Cards may be used in our Seattle store at 220 South Jackson St. If you cannot get to our Seattle store, please call us at 206-344-8000 to make other arrangements.